Preheat oven to 200°C (400°F). Heat the oil in a large heavy-based ovenproof frying pan over medium heat. Sprinkle the chicken with salt and pepper and cook, skin-side down, for 6 minutes or until golden. Turn and cook for a further 4 minutes. Remove the chicken and set aside. 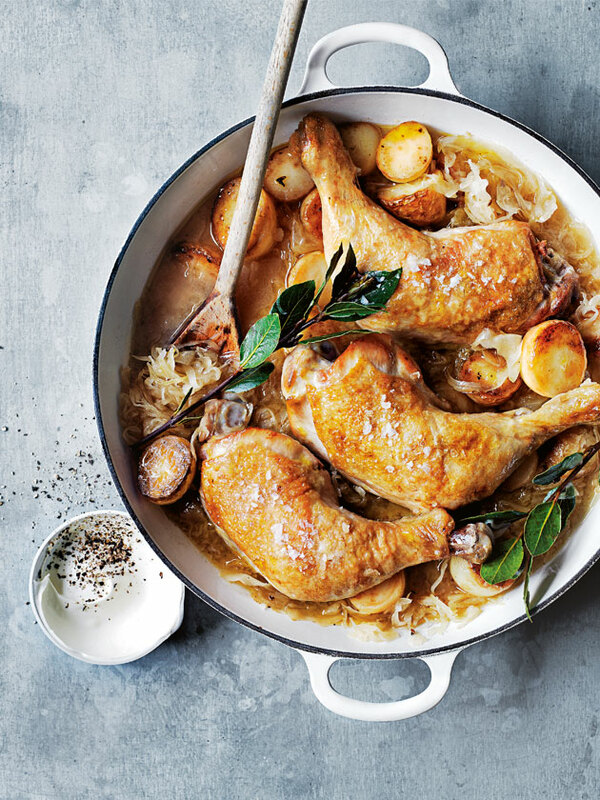 Uncover and cook for 20 minutes or until the potato and chicken are golden and cooked through. Sprinkle with salt and pepper and serve with sour cream. Serves 4.